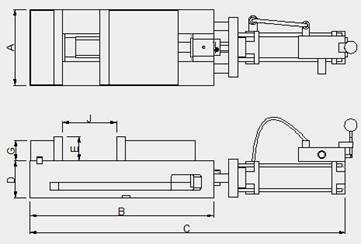 In accordance with the different air cylinder the total length is different. P.S.：The other model can match the hydraulic cylinder VH-MC-4"、VH-MC-5"、VH-MC-6"、VH-MC-8"
Ø Depend on user's requirement. 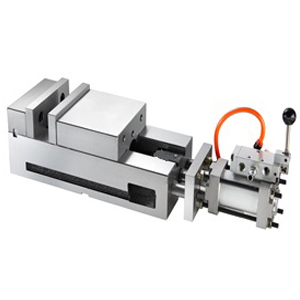 Choose pneumatic or hydraulic pressure for clamp the workpiece is quick and easy. It's suitable for drilling and light clamp.